This photo has been floating around my desktop for a few weeks now. It was taken at a private cooking class in Melbourne a few weeks ago. 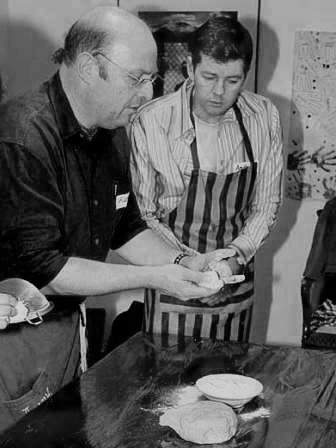 I’m showing the host’s husband how to form balls of chapati dough in preparation for rolling them into flatbreads. If you’d like to invite your friends to a cooking class at your home, read this.